Yang Jian Bing of China was brought "unconscious and unresponsive" to the hospital on Thursday. 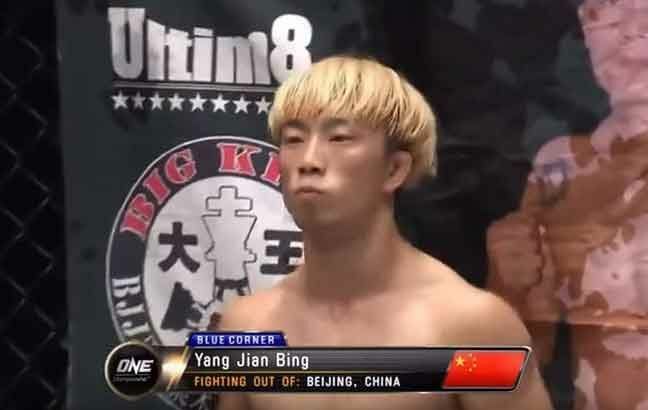 A Chinese mixed martial artist who was supposed to see action in the ONE: Spirit of Champions died Friday afternoon due to alleged complications related to the fight. According to Dojo Drifter, a Philippine website devoted to combat sports, Yang Jian Bing was unconscious when he was brought to the emergency room of the San Juan de Dios Hospital on Thursday afternoon. Efforts to revive him failed and was pronounced dead shortly after 12 p.m.
Dojo Drifter’s Gab Pangalangan said the 21-year-old fighter from Beijing (with a 5-1 record) was supposed to face Geje Eustaquio in a ONE: Spirit of Champions 3-round flyweight match but the fight was scrapped before the official weigh-in due to weight cut complications on Yan’s part. "There is nothing more profoundly tragic and sad than when a member of the ONE Championship family, current or past, passes away. Our thoughts and prayers are with the family and loved ones of Yang Jian Bing," Cui wrote. "We will work closely with the family and offer all the support they need in any way we can during this very difficult time. Yang passed away this afternoon. The cause of death is still being determined." Attending medical staff ruled Yan’s death as caused by rhabdomyolysis, “the breakdown of muscle tissue that leads to the release of muscle fiber contents into the blood."